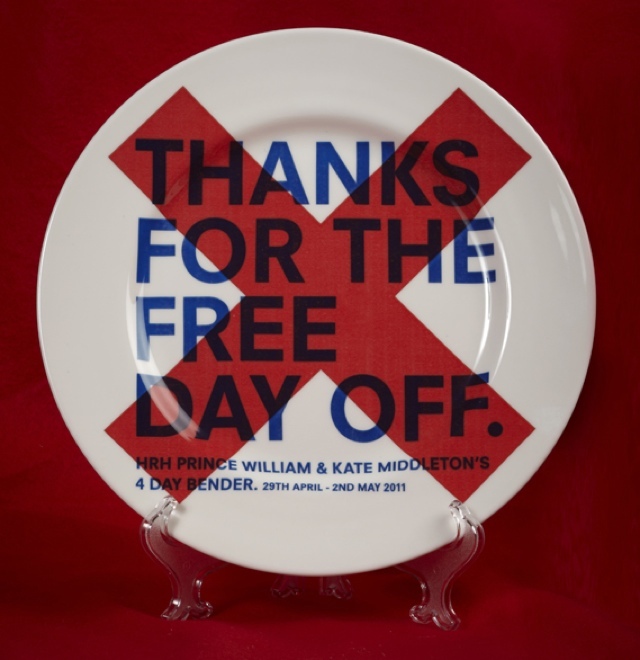 I’m no royalist, but along with every other inhabitant of the country, I’m pretty excited about our bonus bank holiday next year in honour of Will and Kate’s wedding. There are quite a few designs available, but the simplicity and, let’s be honest, wording on this one wins for me. You can see the whole collection on Creative Review and you’ll be able to buy the plates from 15 January. Be quick though, lols-worthy as the designs are, they are probably going to become collectables. Come in and say hello! I work there! Amazing! The Internet is so small it blows my mind! I will come in at some point over Christmas I hope..